This is the ultimate match round - bar none. 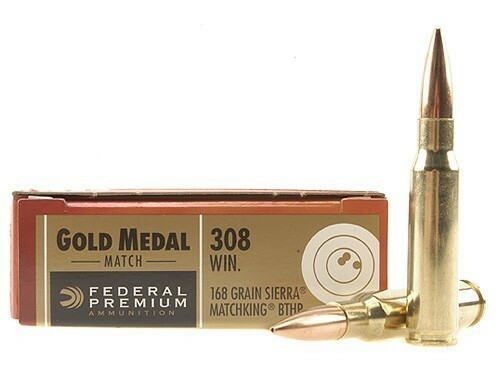 The incredible groups that this ammunition produces result from two factors - first, of course, the cartridges are loaded with unbelievable consistency using the best bullet on the market, but also because all manufacturers of accurate rifles use Federal Gold Medal Match for developing and benchmarking their products. So it is not just that the round is built for accuracy, but the rilfes are built for this round specifically. If you do not handload, this is the only way to find out what your setup is truly capable of. Please take a look at reviews of this product at MidwayUSA. This page is obsolete. Please visit our inventory for available ammunition.